There are so many holidays each year on the calendar and some are simply more important to your family and friends than others. While some especially love the Christmas holidays, others are more eager for days like Valentine’s Day and their birthday because these are special holidays that show them how much they are appreciated and loved. In other words, these are the special days that show them just how special they are to you. The Internet Is Your Best Resource! If you have ever found yourself stumped for just what to do or buy for this special occasion, remember that it’s never too early to begin planning for a special holiday. With the entire World Wide Web at your disposal, you can gather tips and suggestions literally any day of the week and then save the site in a special folder you create in your browser of choice. As the day approaches, refer back to your Favorites list and you will have no trouble choosing the right card or gift because you’ve had a whole year to prepare for the day. What Happens If You’ve Lost Your Favorites? One of the problems which many people encounter is inadvertently deleting or losing their favorites menu. Sometimes this happens when loading a new computer and other times it’s the result of changing browsers. Sometimes there’s no explanation for why your favorites are suddenly lost in cyberspace, but the good news is, you can usually get them back! Check out articles like Where Do I Find My Favorites if that special day is approaching and you suddenly find your folder or the entire favorites menu missing. This is the one folder you’ve spent a great deal of time on, so make sure you learn how to recover it in the event that it is no longer there! Can you remember the site you found that perfect poem on? Probably not, so this is one tip you won’t want to miss! One of the main reasons why you would want to start planning a special holiday well in advance is because they would never suspect that you are ‘feeling them out’ for things they really want but are reluctant to ask for. For example, it’s the Fourth of July and you start talking about New Year’s fireworks over the Big Apple. That could easily lead to a discussion on the Christmas holidays and what they would like if they had a choice of anything in the world. Or, you could simply begin noticing things they pay special attention to. You can’t miss a woman stopping in front of a jewelry store gazing longingly at that lovely tennis bracelet or diamond brooch. The whole idea is to begin gathering ‘intel’ so that you can take that information home and begin browsing the Web to find great deals on the perfect gift, even if it’s almost a year away. No matter how you cut it, the earlier you begin, the more unlikely it is that your friend or loved one will get the hint that you are looking for next year’s perfect Valentine or birthday gift. 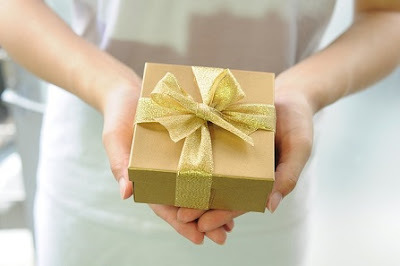 When the special day arrives, your gift will come as a total surprise and that is what you are hoping to do. It’s a fun and easy way to get your shopping done well in advance so that you can sit back and enjoy that special day. Now then, wasn’t that easy?